Plus, they’re letting me bring the pie. The women in my family have this tradition that on Thanksgiving Eve, we gather many women together and bake mass quantities of pies. I’ve not been keeping the tradition of the gathering lately (though I did have a Xmas cookie baking party last year along the same lines), but it is still physically necessary for me to bake pies for Thanksgiving. This year, I’m thinking apple and pumpkin of course, and then maybe something different for me, like a meringue or a custard pie. Love making crust, love peeling apples, love baking, love eating, love it! Of course I will be bringing a wine or two to Thanksgiving dinner, though much craft beer will be in evidence that day as well. I’ve been utterly exhausted by the ongoing onslaught of Thanksgiving wine-and-food pairing discussions on the web of late, though. I mean, just exhausted. Some of them seem great, some seem absurd, and some just the same old thing. 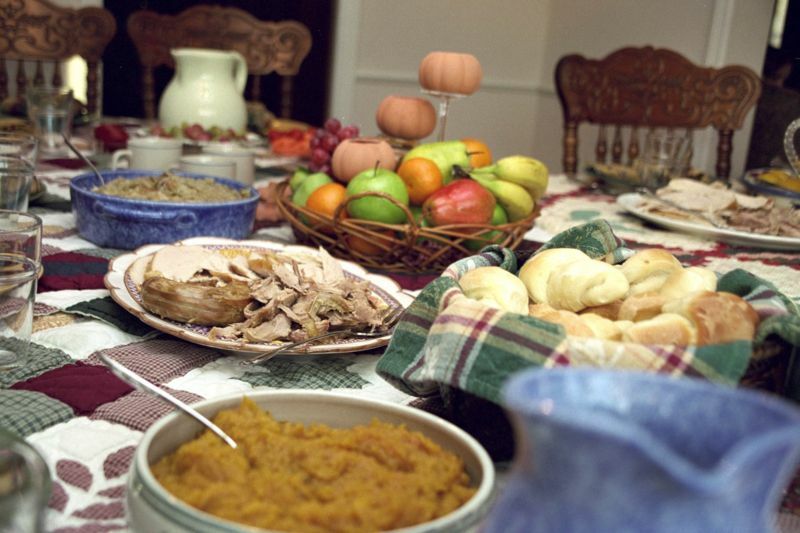 Thanksgiving is a stupid meal for wine and food pairing if you follow a traditional menu. Turkey and stuffing are one thing, but then turkey and cranberry sauce are another, and sweet potatoes are another proposition altogether. Unless you plan a menu around a certain flavor theme, there is always going to be something on the table that any wine will not pair well for (with the possible exception of champagne, which goes with everything, period). Most of the wine recommendations you’re going to get for Thanksgiving dinner, therefore, are wines that simply pair well with lots of different foods. They’ll be medium-to-full bodied whites with good acidity and lighter reds with good acidity. Also, sparkling wines with good acidity, as sparkling wines go with everything. Do you sense a common theme here? Yes, acidity: gold star! Anyhow, so I won’t be blogging you any wine recommendations for your Thursday meal; there are a plethora of them out there, and your local paper will tell you what to drink, too. But if you want to know what I plan to drink, I’ll probably pop a bottle of bubbly from Iron Horse or Schramsberg, a reasonably-priced Pinot Noir from Oregon, and I’ll hit the wine store to see if I can find a nice Gamay or light Rhone-style blend from California. If I can’t find that, I’ll probably pop a bottle of McPherson Tre Colore, my favorite wine from Texas. Thematically, I’m sticking to US wines for our national holiday, though in past years I’ve been very fond of French, German and Austrian wines for Turkey Day. OK, I will leave you with one piece of advice, but just an amuse bouche of one: whatever you drink this holiday, make sure it’s something you like. Don’t buy a bottle of something you don’t love just because you’re told it will pair well with your meal. If you’re drinking what you love and eating good food, you’re guaranteed to have a great time, even if all the flavors don’t play together in complete harmony. Thanksgiving photo by Ben Franske. Good advice! I’m making cake this Thanksgiving–I’ve decided to own up to the fact that I don’t like pie and am making a pumpkin layer cake with caramel icing instead. We are even going to try some Tokaji with it. May be horrible, but oh well! You got that right! Best Thanksgiving wine suggestion I’ve read yet.